This Smokehouse and Grill is proud to bring you fresh local produce, which has been jam packed with smokey flavours. We are slow cooking and smoking our dry-aged and free range meats and fresh Brixham seafood in our American style wood pellet fired smoker. Then we will be cooking on open flames in our charcoal and wood burning BBQ pit. All of this to give our food the best BBQ flavour possible. Come join us, eat, drink, relax and take in the great views of Brixham Harbour. Check out for their Sunday roasts - booking essential. 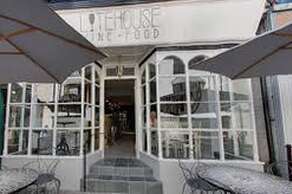 Lytehouse is owned &run by a husband &wife team. Israeli born head chef Daniel has over a decade of experience in various kitchens, latterly working in a two AA rosette restaurant in Manchester. He is passionate about South-West produce, &uses locally landed fish from Brixham fish market. The menu reflects the seasonal changes in the region. Katherine is a sommelier and manages front of house, she delights in finding new &interesting good value for money wines, &is always on the hunt for new ones. 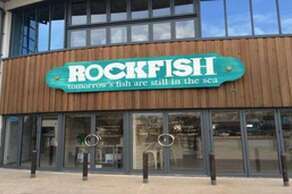 Rockfish is Brixham's newest seafood restaurant situated overlooking the harbour, serving quality, sustainable seafood in a beautiful, relaxing location. The restaurant, with seating inside &out, has stunning views out over the historic harbour and fish market at Brixham, right on Britain's Seafood Coast. The restaurant and takeaway are open 7 days a week midday –9.30pm and between 7am and 11am Monday –Friday the takeaway serves a fabulous breakfast of scallop &bacon rolls, smoked haddock, The Rockfish chilli breakfast egg and lots more. Here at 'SIMPLY FISH' sustainability is our top priority, we hope to show our customers that local fish is not just about cod and haddock, but introduce them to new varieties. We are looking to provide the freshest local fish and shellfish in the bay, which arrives every morning from the Brixham market. We have created a menu that is fresh and full of flavour, which celebrates this local product. Also on the menu is the nation's favourite, cod and haddock. 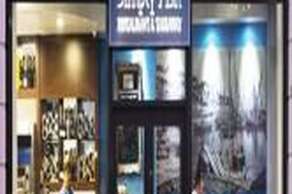 The restaurant has a contemporary look and feel, whilst maintaining a relaxed atmosphere. Perfect for the whole family to enjoy. 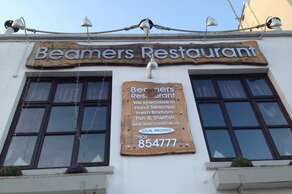 Welcome to Beamer's Restaurant set in the heart of Brixham's historic fishing port and ideally located on the harbourside. Beamers has been owned and run by local couple Simone and David Cook for the past six years, with Simone in the kitchen as head Chef and Sophie their daughter as Maitre d'. Inside Beamers you will find a relaxed ambience full of style and comfort with its smart stylish nautical interior, crisp white napkins, and a menu offering a contemporary English menu with seafood being a particular speciality.